Hunter and Associates is a multi-disciplinary environmental and engineering consulting firm located in Mississauga, Ontario. Established in 1977, we have served a wide range of private and public sector clients across Canada and internationally. With expertise in the areas of hydrogeology research and airphoto interpretation, we provide a variety of environmental consulting services including ecosystem analysis, impact assessment, and integration of development with the environment. Hunter and Associates is authorized to practice Professional Engineering in the Province of Ontario in accordance with the Professional Engineers Act, 1990. Hunter GIS, a division of Hunter and Associates, develops comprehensive geographic information system solutions for the municipal, utility, telco, transportation and resource management sectors. Since 1985, we have offered our clients a complete range of GIS implementation services, including software development, data conversion, system integration, outsourcing, transitional web hosting, application service provider, technical support and consulting. Hunter GIS is a leading developer of applications and solutions for EsriTM ArcGIS Enterprise, AutodeskTM Infrastructure Map Server and MapGuide Open Source. Hunter GIS is a member of the EsriTM, Latitude Geographics (GeocortexTM), AutodeskTM Developer Networks, the Ontario Good Roads Association (OGRA) and is an Authorized Service Provider for Municipal Dataworks (MDW). We invite you to explore our website to learn more about the wide range of services we offer. Check out our latest mobile solutions HERE ! Hunter GIS mobile handheld solutions enable users to remotely transmit service request and inspection images, GPS coordinates and/or attributes directly to applications on web based GIS database servers. 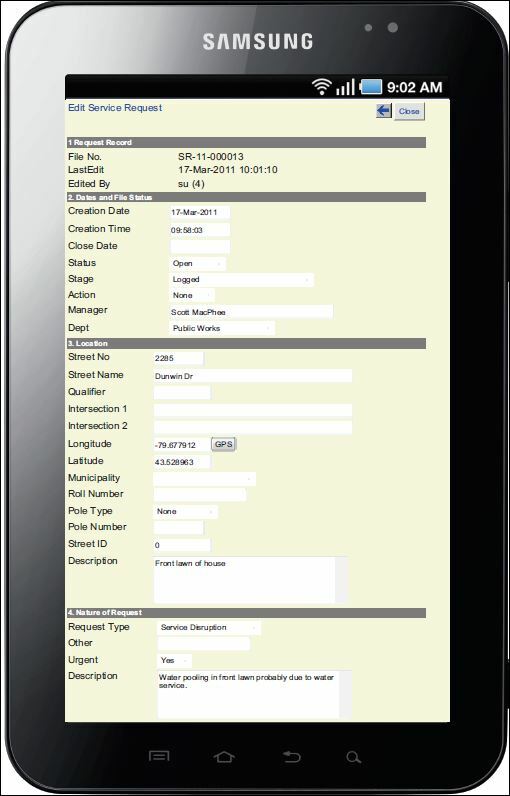 Mobile devices can also be used to view and query municipal maps and infrastructure assets.